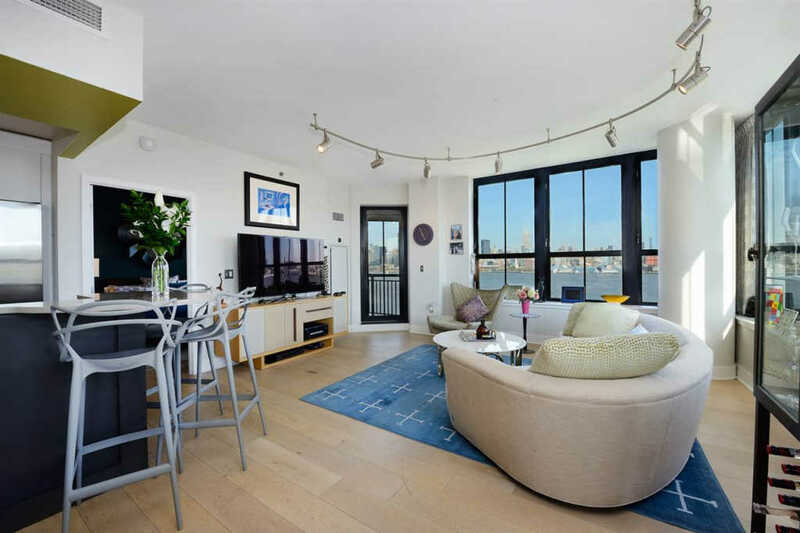 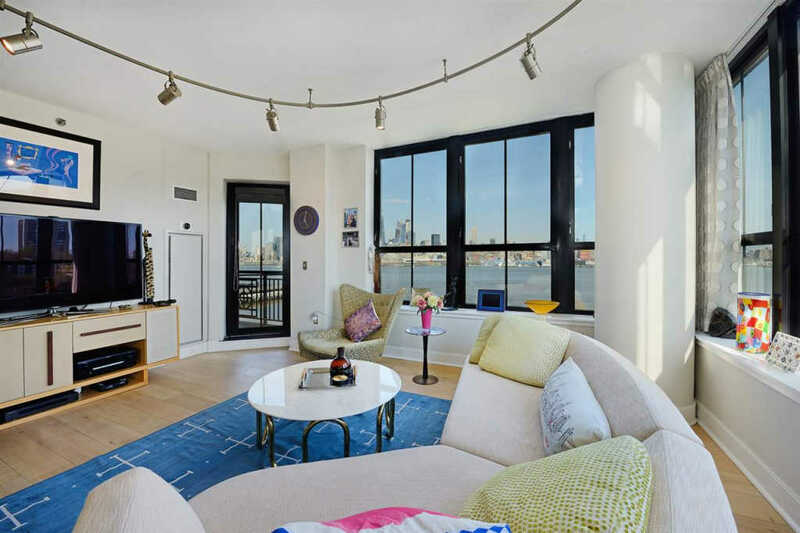 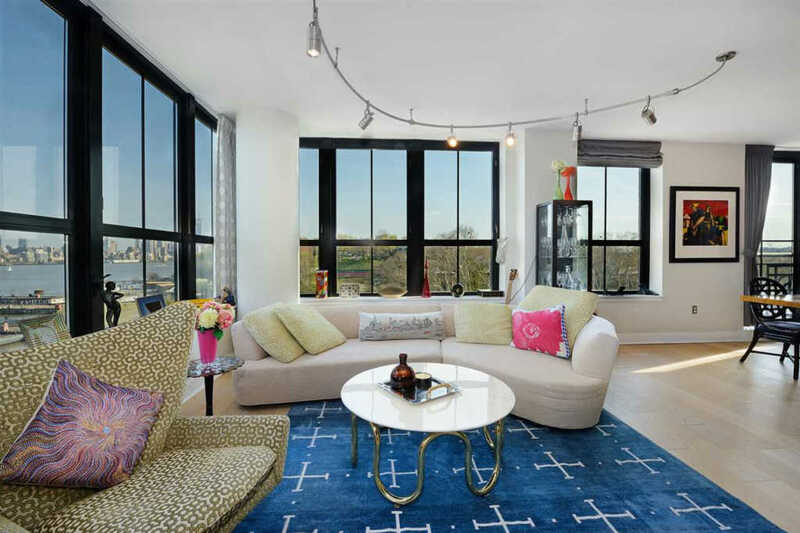 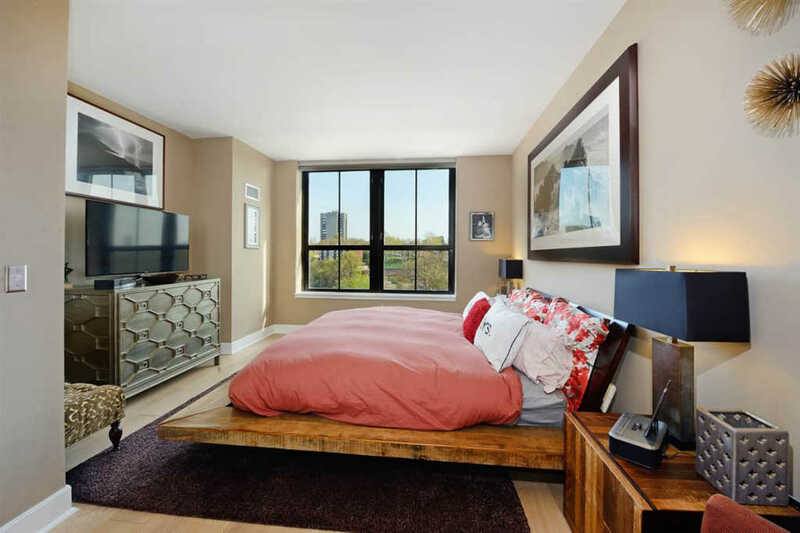 PANORAMIC VIEWS of MANHATTAN & HUDSON RIVER (with private balcony and deeded parking) separate this breathtaking corner unit from the rest; the "02" line @ 1025 Maxwell Lane is simply in a class of its own. 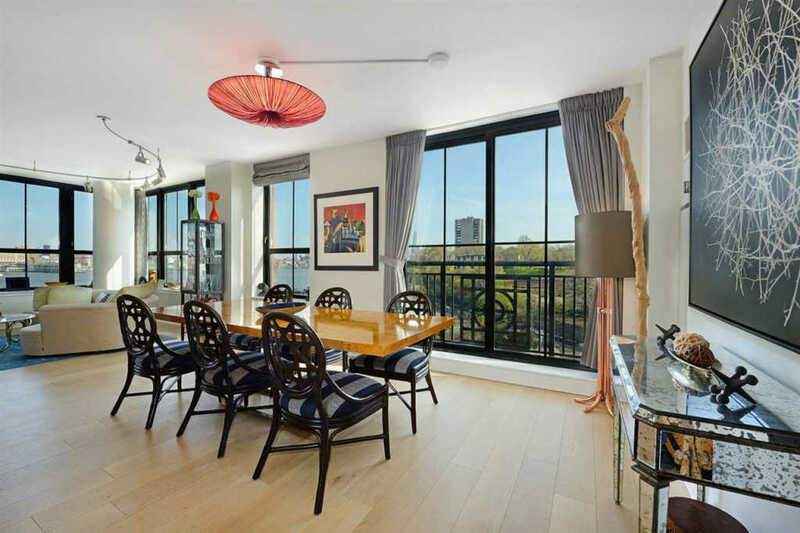 Sun-drenched Southeastern exposures from every room illuminate all details of this magnificently designed and decorated home. 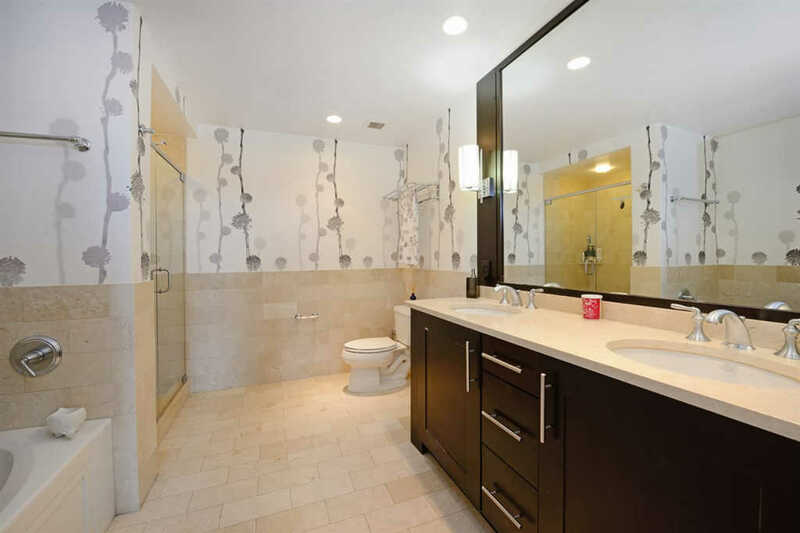 Recent upgrades by current Owner include: FLOORING...Corner-to-corner wide-planked & white-washed Oak throughout. 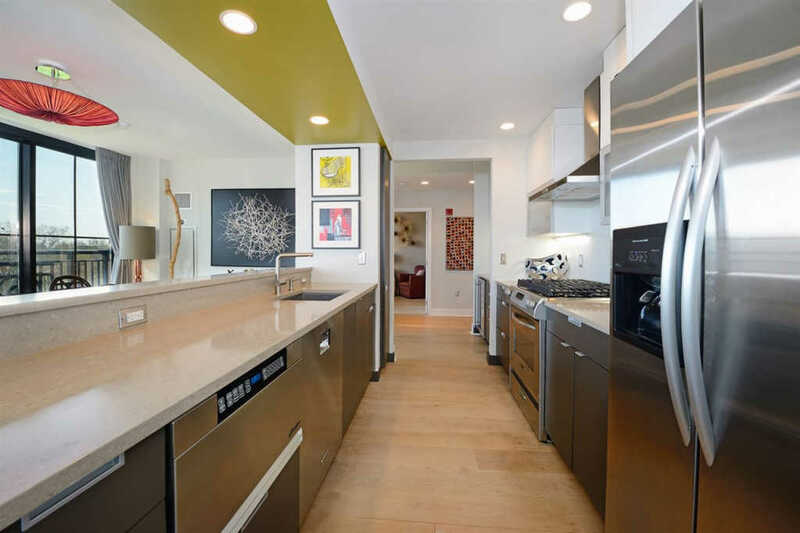 KITCHEN...All new appliances including Wine Captain wine fridge, sleek Caesarstone countertops with Blanco sink and faucet, and customized cabinetry and backsplash w/ under-cabinet lighting. 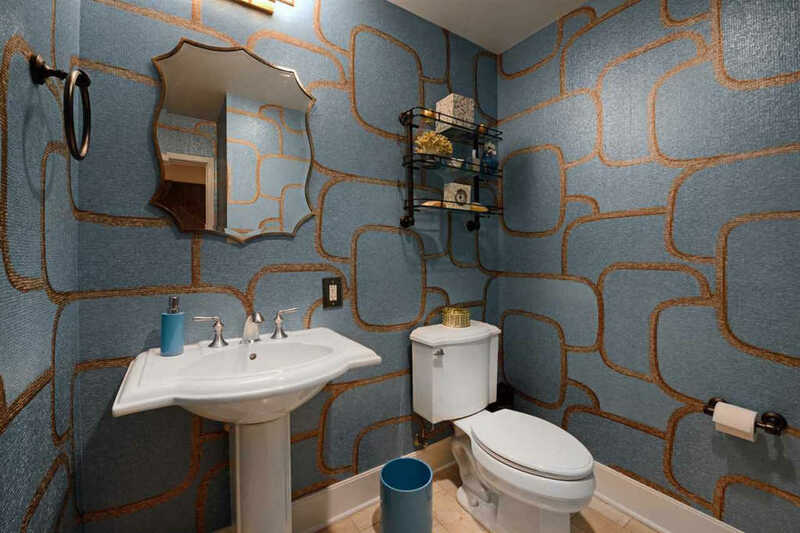 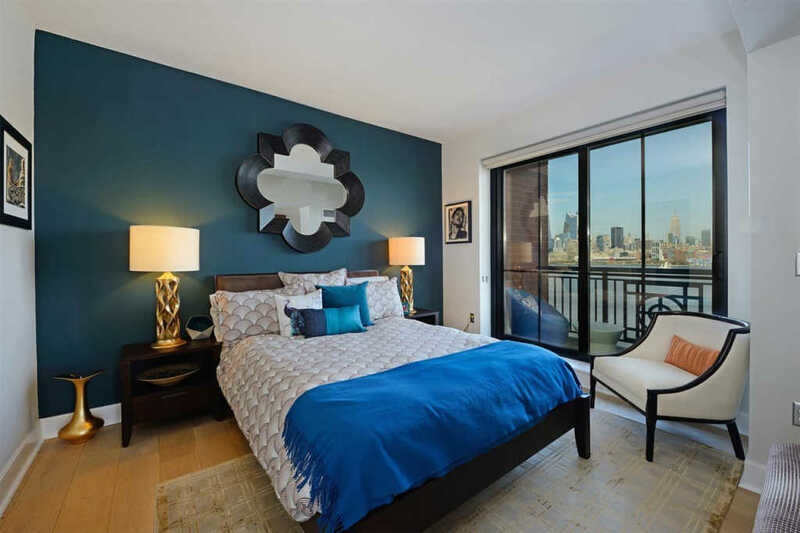 LIGHTING...Track lighting in Living Room & silk pendant chandelier in Dining Room, custom designed sconces in all bathrooms, and brand new outlet covers/switch plates w/ "dimmers" throughout entire condo. 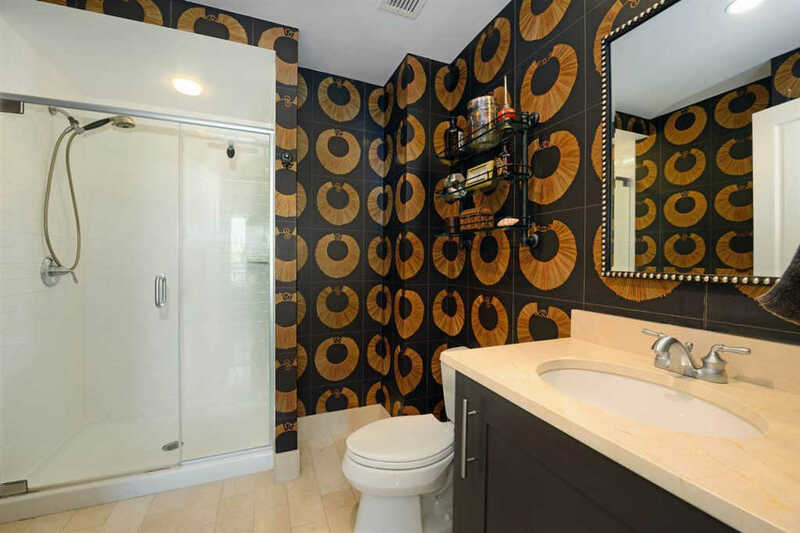 HARDWARE & MISC...Customized mirrors, shelving, towel racks, ultra-sleek wallpaper in all bathrooms, and brand new LG Washer/Dryer. 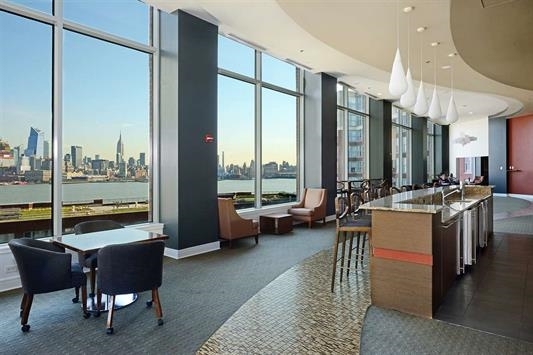 COMMON AREAS INCLUDE: 24hr Concierge, 2 top-notch Club/Community Rooms, 2 Gyms & Yoga Room, 2 Kids Playrooms, a Rooftop Pool & Rooftop Gardens featuring outdoor BBQ's/televisions/fireplaces overlooking mid-town Manhattan! 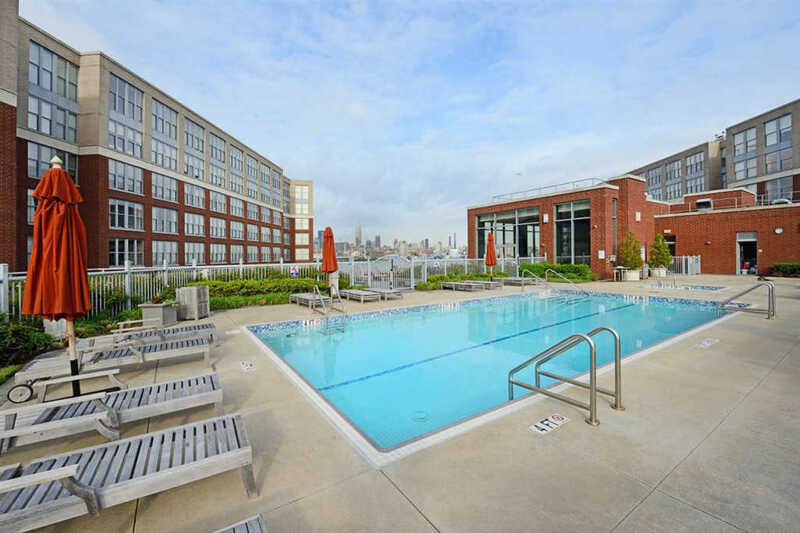 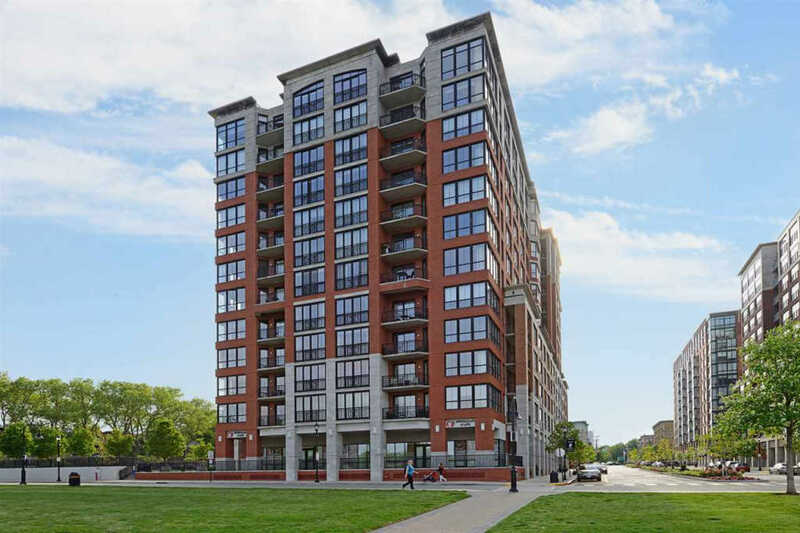 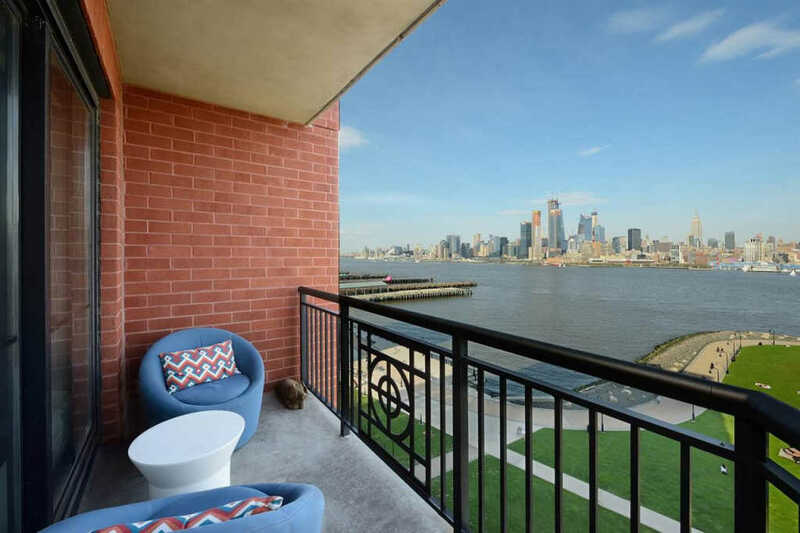 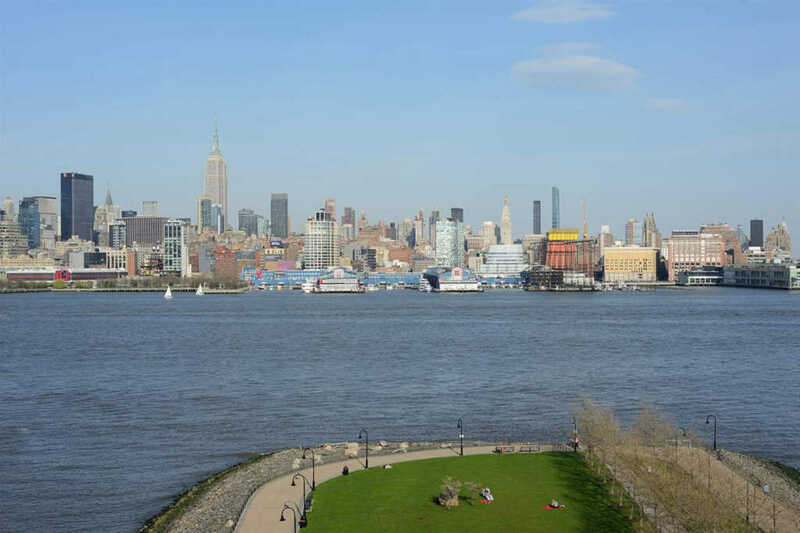 With NY Waterway's 8-Minute Ferry to 39th ST just 2 blocks away and a private shuttle service to the PATH train, 1025 Maxwell Lane is as sought-after of a building that you will find, located in the most prime neighborhood that Hoboken has to offer.